Based on the theme of “a thousand shades of blue”, the spa area here is fresh yet unobtrusive, featuring numerous understated highlights. Each area has a unique design of its own whilst harmonising unmistakeably with the general theme. Total area: 1700m². Spa area: Finnish sauna for up to 54 persons; oriental steam bath; hammam; luxury shower area; heated benches; relaxations rooms. 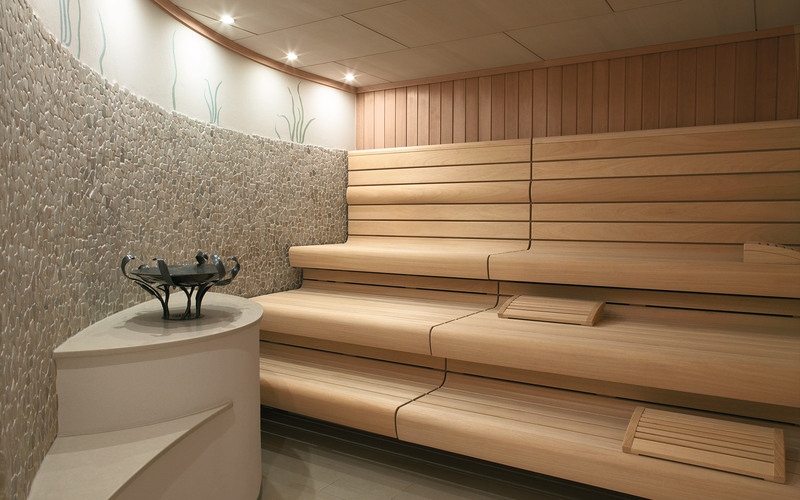 Spa suites: sauna, steam bath. Treatment rooms with SANOTHERM, SANOSPA. Gym area. 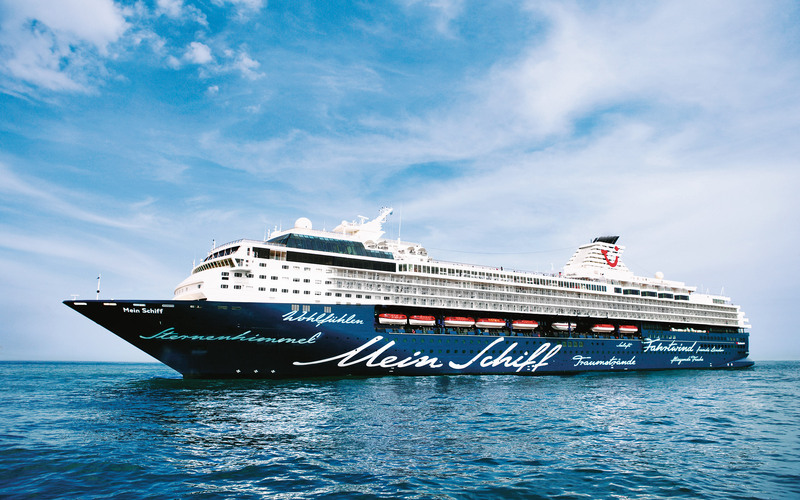 Located in a prominent position above the bridge on deck 11, the spa area of “Mein Schiff” not only offers guests relaxation and well-being for body and soul, but also breath-taking panorama views over the ocean.